Looking for some little extras to really impress your guests? 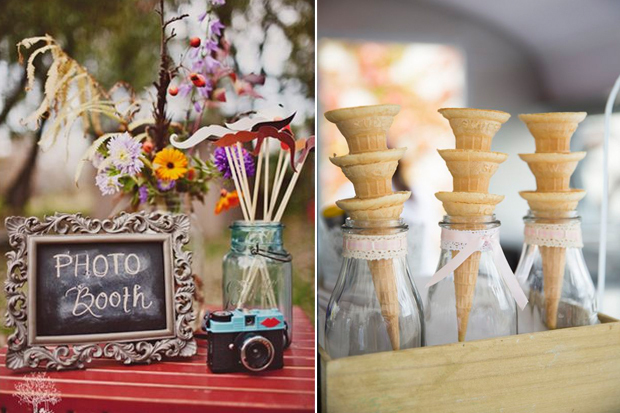 Here are 10 fun entertainment ideas to add something extra to your Big Day! 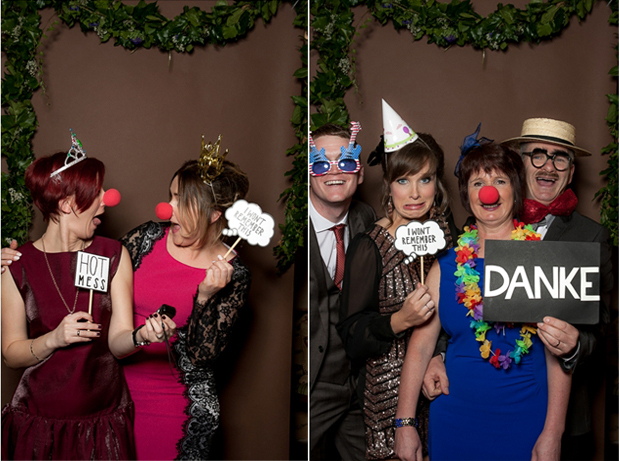 The photo booth continues to top the wedding entertainment stakes year after year because wedding guests love nothing more than donning a wig, waving some cutesy props and striking a pose! The great thing about the photo booth is that it keeps guests amused and they get to take away some fun mementoes from your Big Day that they can pop on their fridge or use as a Facebook profile pic. If you want to capture even more antics the video booth is another fun option which captures all the real time action. 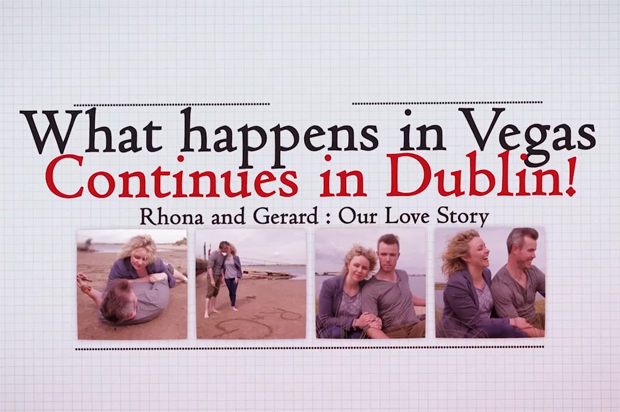 For a list of Irish photo booth suppliers see the weddingsonline supplier dircetory here. There are lots of fabulous ways to keep your guests entertained and magicians and comedy sketches are high on the list. Like good food and music, these added extras will not be forgotten by your wedding guests and they’re a great way to help your guests get in to the party spirit. There are several comedians on the Irish wedding circuit including Dave Young, Paul Malone and De 2 Willies that will amuse your guests through impersonations, funny skits and even getting your unsuspecting guests involved in the shenanigans! To find a comedian for your wedding see the weddingsonline supplier directory. 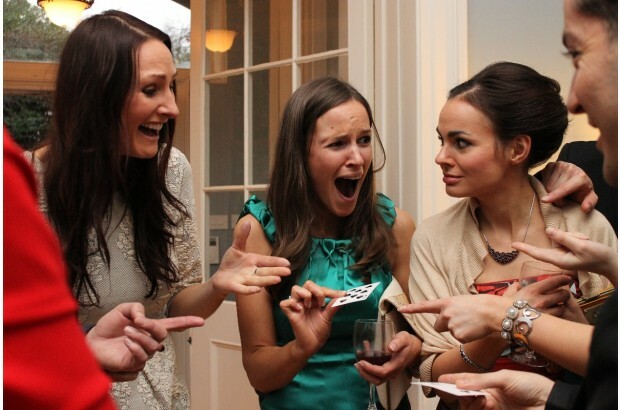 Magicians are another super fun way to get guests talking and involved and will use a mix of intriguing magical tricks, mind reading and psychological illusions to entertain and amaze wedding guests – you’ll see everything from mind-boggling card tricks to jewellery disappear before your very eyes. To find a magician for your wedding see the weddingsonline supplier directory. If you’re looking to surprise your guests as they tuck in to their meal, The Musical Waiters is the way to go. Dressed just like the waiting staff, these guys blend in until dinner time and then tada, these trained musicians break in to song and dance as they serve up your guests with a medley of Broadway and West End Hits. We can’t think of a better way to unwind as you savour your yummy trio of desserts! For some brides and grooms, that iconic confetti shot is a wedding album must. 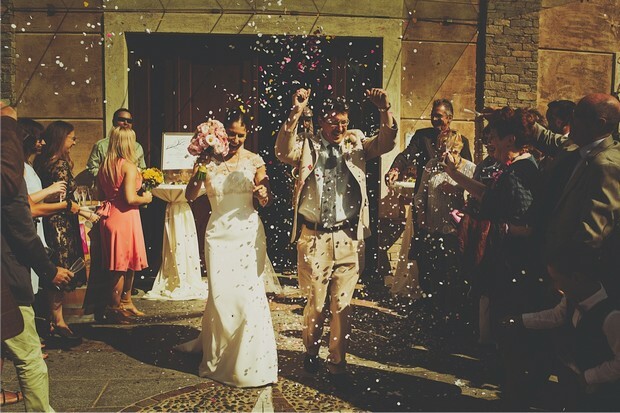 If you’re one of the brides and grooms that have your heart set on this upbeat exit and your venue is okay with it, you will LOVE the confetti cannons available to rent from Confetti Solutions. They send tons of pretty confetti petals flying into the air, making for one seriously dramatic and gorgeous entrance or exit – or you could even end your first dance in a flurry of pretty paper if you fancy it. Your guests will love it too – and oh those pictures! If you’re looking for a glittering way to end your wedding celebrations, wow guests with an amazing firework display. We can’t think of a more romantic way to round off the celebrations than huddling together and taking in the stunning colours lighting up the sky. For more information on a magical display to suit your budget, check out Nationwide Fireworks. 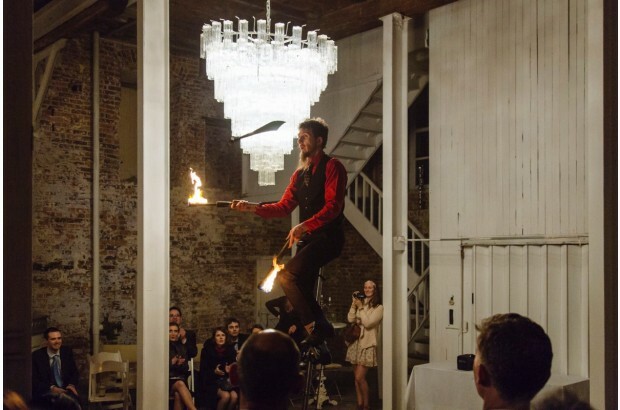 If you’re looking to give EP a run for its money and want to create a fun festival themed wedding, be sure to check out entertainers.ie who can source everything from fire breathers to jugglers and stilt walkers to acrobats to create that fun, carnival vibe! Fired Up Weddings is another fun option – Brian will have your guests in fits with his comedy sketches and awesome skills from juggling fire to hat tricks and antics with balloons. And if you’ve little folks that are guaranteed to get antsy during the speeches and grown up stuff, Jeca the Clown is an entertainer who can keep the kids occupied and amused while you toast the happy couple and enjoy some adult time! A spot of Irish dancing always ensues at an Irish wedding whether it’s your uncle hogging the dance floor or your mates giving their rendition of Riverdance a bash. But if you want to get the party started early on, you can arrange for a troupe of professional Irish Dancers to wow your wedding guests with some jigs and reels. Celtic Dance Fusion can dance up a storm with a medley of Irish jigs and reels – you and the guests can even join in. Another great way to infuse a bit of an Irish element in to your celebrations is by having a trad band like Dublin City Folk play at your ceremony, drink’s reception or kick-start a ceili later in the evening. Food and entertainment feature high on guest’s appreciation list. Guests love being fed particularly after a bit of a knees up when energy levels are fading – sambos and platters will of course go down a treat but if you’re looking to treat them to something more substantial, you might want a wee food truck like The Chip Van to pull up at midnight to satisfy the hunger pangs (hot dogs, quarter pounders, onion rings, fish and chips, curry chips… nom nom). 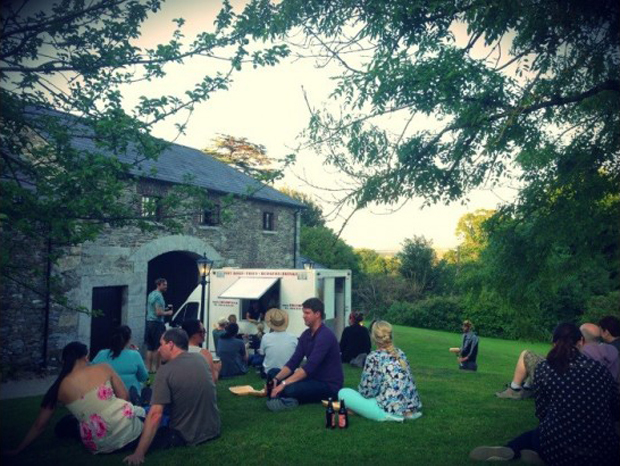 Another big hit with guests is always the ice cream van for a refreshing treat after the ceremony or dinner – Rockfield Ice Cream and Smith’s Ice Cream Vans both offer this service if you fancy Mr Whippy’s all round. If you’re struggling to come up with a wedding favour that a) your guests will love and b) they’ll actually use, we’ve a practical and fun solution for you. Merge your favours with some entertainment by hiring a caricature artist to sketch funny or flattering illustrations of your guests. Not only will it be highly amusing and a great way to keep them entertained if there’s a bit of a lull before or after dinner, but your guests will have a personalised memento from your celebrations that they can hang at home afterwards – win win! For a full list of caricature artists see the weddingsonline directory here.